- The delicate beauty of a spider's web often hides its tremendous strength. Just so, this fairy spirit may seem wispy and insubstantial, but her power is very real. 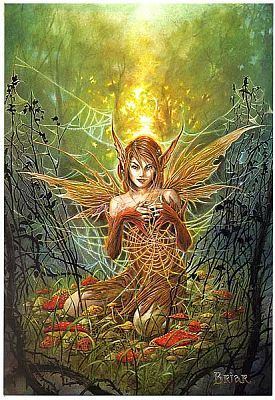 Card measures 8" by 5 1/2"
Do you have any other questions about our Cobweb Fairy Greeting Card?